A star sign decal illustrating the zodiac sign, Virgo. Brilliant horoscope sticker for those born between August and September. 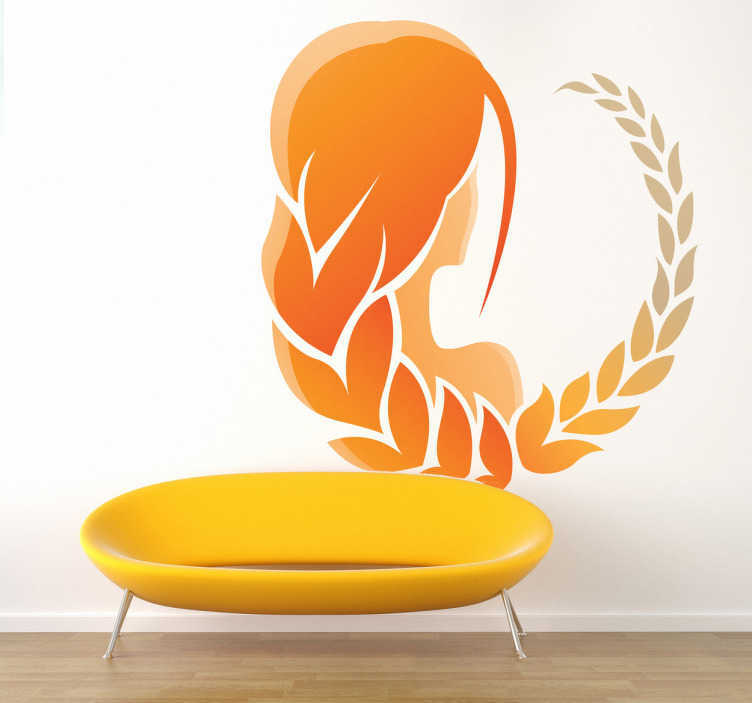 Vibrant orange design of a woman with plaits in her hair, simple but effective for giving a room some colour and character. Do you believe in the zodiac signs? Do you want to decorate your bedroom with your own zodiac sign? Personalise your own bedroom with a superb decal that is relevant you you!